Home buyer's biggest considerations used to be the local schools, crime rates, nearby amenities and neighbours. But it seems our increasing reliance on the internet is changing all of that, with fast broadband now ranking as one of the most highly sought-after qualities in a property. To find out more, we spoke to home buying firm Quick Move Now. Danny Luke, Managing Director of Quick Move Now, explains: “In recent years people have become more and more reliant on their home broadband. A growing number of people rely on their home broadband across different aspects of their lives, including work, social life and media consumption (in the form of TV and film streaming services). The internet is fully integrated into our lives and, as such, a good broadband connection is becoming increasingly important to prospective house buyers. 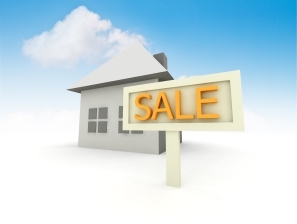 It seems Quick Move Now’s observations are echoed throughout the property market. A recent survey found that 70% of home buyer's ranked broadband as a must have, putting it in fourth place in a top 20 list, ahead of parking, a garden and even a bath or cooker. In sixth place was a landline telephone, while a good mobile signal was ranked as the 10th most important feature. Whether you’re buying, selling or renting home it’s definitely worth taking some time to investigate the broadband situation in the area. It might impact your decision, and could be a consideration if you’re trying to make your property more attractive to buyers. For more detailed information you’ll want to head over to the very useful SamKnows. Their broadband availability tools allow you to check using both postcode and phone number, and to view every exchange in the country to get a detailed breakdown of the types of broadband on offer. In most parts of the country you’ll have at the very least ADSL up to 17Mb. There are a few exchanges left where ADSL up to 8Mb is still the only option, but these are very rare now, as are the locations where no fixed line broadband is available. 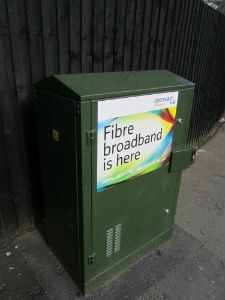 Fibre broadband using either BT Openreach or Virgin Media is now on offer to more than 80% of premises, but those of you in rural areas may not yet have these services. When checking broadband availability you will need to have both a postcode and telephone number to get the most accurate results. If you’re moving to a new home and are concerned about broadband you may wish to either speak to the agent or current occupier about what they are using or, if possible, use the current active landline number to perform a search. For further information about broadband availability visit our broadband in your area hub, where you’ll find guides to many towns and cities across the country.